Dr. Mozart, Odessa International Medical Clinic provides patients with a safe and highly effective solution for the permanent removal of spider and varicose veins. The most common forms are spider veins (small blue or red vessels visible within the skin, usually on the leg, face, neck or chest) and varicose veins (dilated and ropy appearing blue vessels visible under the skin). 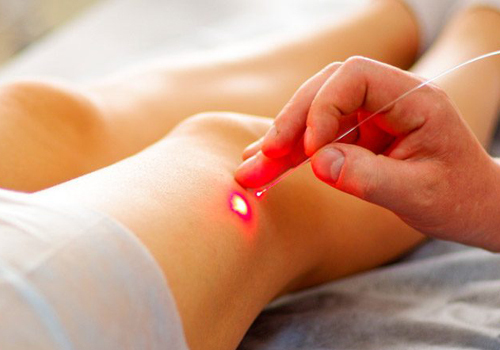 Lasers have revolutionized the treatment of varicose veins – and today Dr. Mozart, Odessa International Medical Clinic offers new hope to those suffering from unsightly spider or varicose veins. Varicose veins typically cause pain, fatigue and swelling – and sometimes even more serious complications such as blood clots and leg ulcers. Book a free consultation to see how we can help!